LG Optimus 7 vs. Samsung Focus, Fight! Although most of our readers have probably made up their minds when it comes to which Windows Phone they are looking to acquire, some of you may still be on the fence. If you have been considering the Samsung Focus or the LG Optimus 7, you may want to head over to Anandtech and check out the nice comparison they have put together. The phones are compared among many hardware and software features to determine which is deserving of your hard earned dollars. Click the link for the comparison and conclusions. Unfortunately the LG Optimus 7 is not available on any carrier in the US. Have any of you used the phone? Leave your thoughts about the phone in the comments! Memory - I knew I wanted to watch video and listen to music a lot on my phone and 16GB will go a long way. The Focus in the UK, as I understand it, doesn't have the memory expansion slot. PlayTo application - I may not get a lot of use out of it, but the ability to connect to a Wi-Fi network and stream photos, music and video from my phone to a compatible system is sweet! Video out - something that hasn't really been talked about much but it appears to be possible to buy a special microUSB cable that provides audio and composite video output. Could help me replace my Archos. I like the size of the handset - something that was picked up on in the Anandtech review. I have previously used the HTC HD2 and found it to be a little bit too big for me to comfortably hold. I've not found the LCD display to be an issue. I have watched several TV programme recordings on the phone now and I love the quality of the display. I agree with the comments about the panoramic photo app - it seems to be a nice implementation (automatically taking subsequent shots as you move the camera) but the end result is not of a very high quality. All in all, though, I am happy with the choice I've made. It will be interesting to see what the handset market is like in 18 months when my contract is due for renewal. 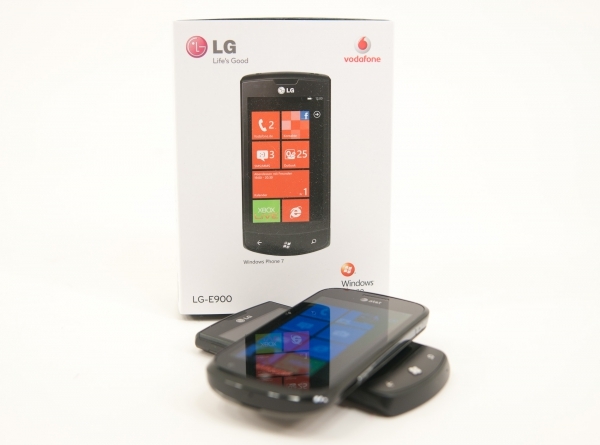 I've got the LG Optimus 7 and I'm very pleased with the choice. The size is ideal for me and giving it is rather long but narrow it feels much more like a phone as opposed to the other "mini tables" or the iphone. While the LCD screen is just fine for every day use and looks rather vibrant (thanks to WP7 UI, too) ... as long as you don't directly compare it side by side to a S-AMOLED (but I don't do that every day ). What really is it's weak point is the bad viewing angle which isn't a problem for normal phone operation (where you look directly at it) but when placed on a table or when showing pictures it is noticeable. Additionally the camera-shots are hardly usable to me - but I'm probably spoiled by my "real" camera gear.